Leigh was born in South Africa into a non-Christian home. Converted and called to ministry at about age 10. Studied at Prairie Bible College in Alberta, Canada, graduating in 1971. Taught Bible and Practical Theology and served in the Deans' Department at Prairie Bible College for 7 years following graduation. Spent the past 30 years in pastoral ministry, 27 years in South Africa and 3 years in Canada. Currently Senior Pastor of Rosebank Union Church, an interdenominational, evangelical church in the northern suburbs of Johannesburg. Married to Irene (a Canadian) since 1977. They have three adult children (one married) and two grandchildren. 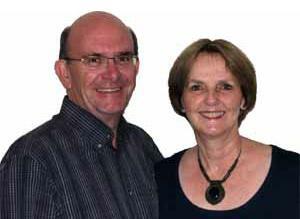 Together with Irene he has ministered to missionaries in about 10 countries.